Looking for Custom Hammered Wedding Rings? 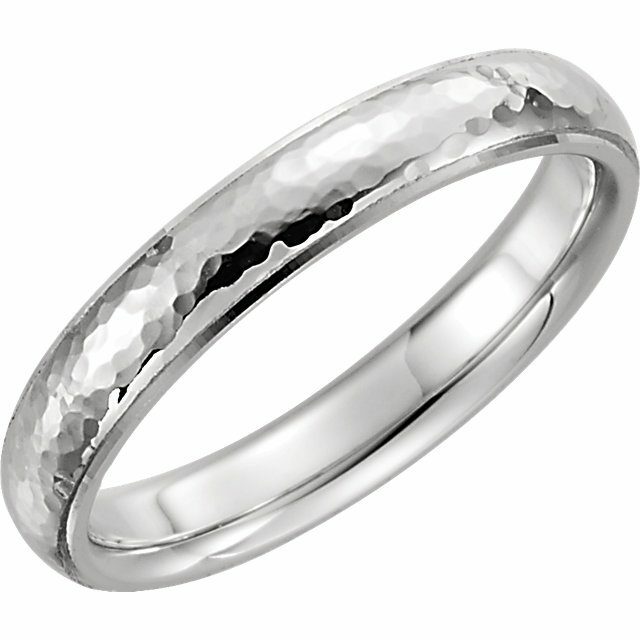 Hammered wedding bands are very popular at the moment as we have more than a few styles using this texture technique. The hammer marks can be made larger or smaller based on your preference. We can make them in widths from 4 to 16mm wide and in a variety of profiles other than comfort fit as well. The starting price is for 10K Gold Custom Hammered Wedding Rings at 4mm wide in a size 6. Contact us for other pricing options. Click HERE to see another of our Custom Hammered Wedding Rings. Click HERE to learn more about custom jewelry, to see our portfolio, or to contact us about Custom Hammered Wedding Rings. It can cost less than you think to have your very own custom wedding ring made just for you. Why hassle with the retail stores for boring and overpriced wedding bands?